The original publisher of Clive Hamilton's book detailing Chinese influence in Australia canceled publication for fear of legal threats. Australia's former Prime Minister Malcolm Turnbull announced his country's biggest overhaul in espionage and intelligence laws in decades last December, after a senator accepted illegal donations from a Chinese businessman with close ties to China's Communist Party. "We're not really dealing with a normal country here. We're dealing with an authoritarian party state, where in fact Chinese citizens owe a higher loyalty to the party than to the state itself. So what we're dealing with here is the largest secret organization in human history," says Rory Medcalf, head of the National Security College at Australian National University in Canberra. Chen Weijian fled Hangzhou, China, for New Zealand in 1991, escaping imprisonment in China for working on a pro-democracy newspaper. He says Beijing caught up with him even thousands of miles away and sued his New Zealand newspaper out of existence. Last year, New Zealand media reported that a prominent Chinese-born member of Parliament, Jian Yang, had lied to authorities about his education background on his citizenship application for New Zealand. He had taught and been a student at a Chinese military intelligence school. Charles Finny served as the lead negotiator in New Zealand's free trade agreement with China. He believes China is using his country as a testing ground for diplomatic relations with other developed nations. "We're small, nonthreatening," he explains. "China, I think, wants to learn from us about how to deal with other, larger players." Some wonder why Jian Yang still serves in New Zealand's Parliament after questions arose over his connections to China's military intelligence. "The answer to that is not something that can be given today," Winston Peters (above), New Zealand's deputy prime minister and foreign minister, tells NPR. 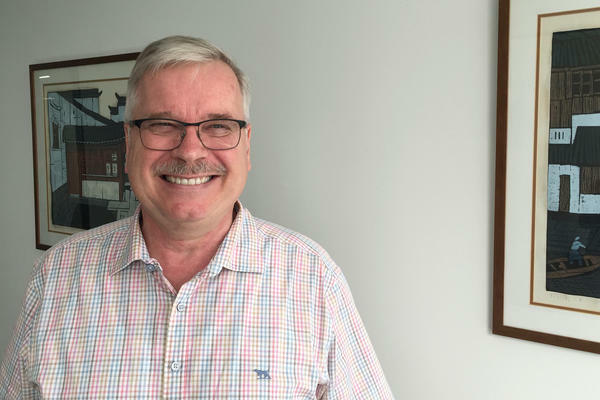 "New Zealand has to maintain relationships across the board with everybody," says Stephen Jacobi, the executive director of the New Zealand-China Council and a former diplomat. 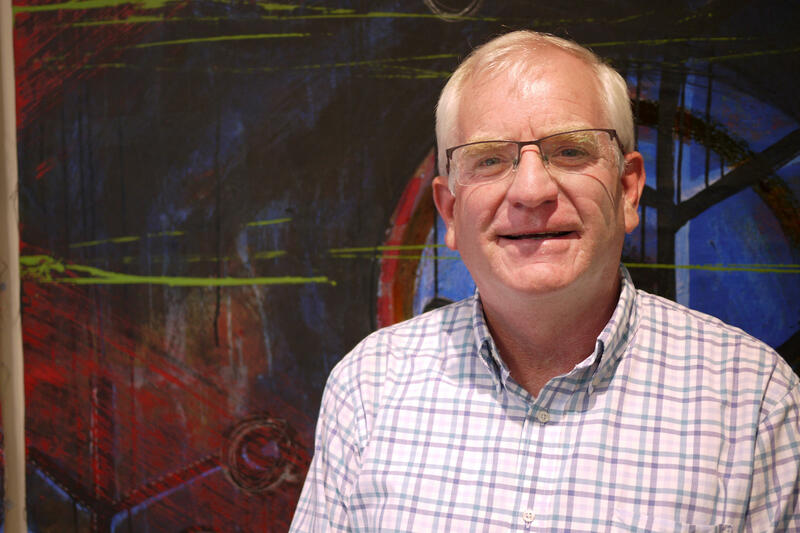 Jacobi worked for years to try to get the U.S. to sign a free trade agreement with New Zealand. In the end, Washington refused, but China signed one. 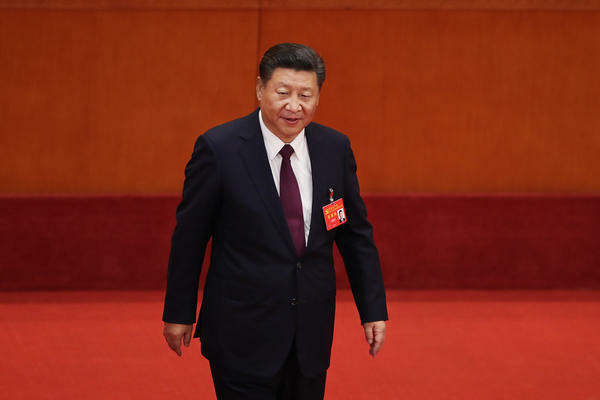 Chinese President Xi Jinping, shown here during the opening session of the 19th Communist Party Congress in Beijing, "is running China in crisis mode," says New Zealand academic Anne-Marie Brady, "and China under Xi is following a very ambitious, a very assertive foreign policy." "They picked that spot, and they have a lot of clout, they have a vast compound, and they kind of get what they want around here," he says. 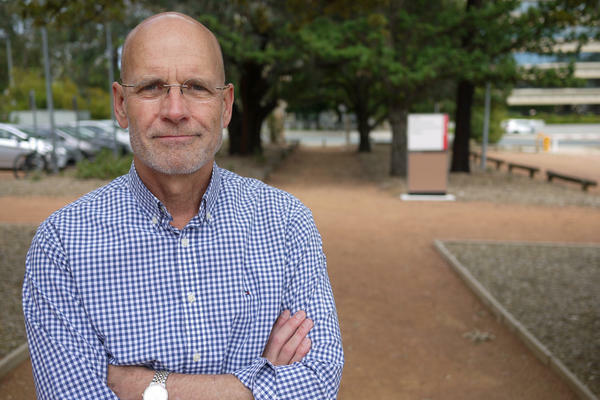 When Hamilton, a professor at Charles Sturt University, first tried to publish his new book, Silent Invasion: China's Influence in Australia, the fear of China's Communist Party crept in, he says. Hamilton's original publisher, Allen and Unwin, informed him last November that it was canceling the book's publication because it feared legal action from what it called "Beijing's agents of influence." "I was shocked," remembers Hamilton. "I felt betrayed. We knew this was a difficult subject. We knew that Beijing has some powerful friends in Australia. We knew that the Chinese government would be highly critical of the book and of me. Of course, it was great comfort to have a really good, solid publisher behind me, and all of a sudden I was left out there on the battlefield, looking over my shoulder, saying, 'Where is my support?' "
The episode was a vindication of the central thesis of Hamilton's book — that China's Communist Party has infiltrated Australia — but not one he expected to have to deal with personally. "It's a massive red flag," says Hamilton. "And if Australia capitulates on this question, in other words, no book seriously critical of [the] Chinese Communist Party will be published in Australia. I mean, this essentially means we've sacrificed our democratic freedoms." China's rise under the Communist Party has had a profound impact on Australia. The country is Australia's biggest trading partner by a long shot, accounting for nearly a quarter of Australia's trade. China's demand for commodities like iron ore in the early 2000s fueled a mining boom in Australia that created jobs and steadily pushed up wages. Later, as China's urban consumer class grew, young professionals from Shanghai and Beijing turned to Australian steak, milk and wine. Nearly a third of Australian exports now head to China. Wealthy visitors from China frequently travel to Australia as tourists or to buy property, leading to a historic rise in home values along the country's coasts. But public intellectuals like Hamilton, and politicians, are beginning to question whether these economic benefits have come at too steep a price. Another Australian publisher eventually released Hamilton's book. But the impact a powerful foreign autocracy had on his work, inside his own supposedly free and democratic home country, left him shaken. It was a reminder, says Hamilton, of how deeply China's Communist Party has infiltrated Australian society. Silent Invasion identifies more than 40 former and current Australian politicians who he says are doing the bidding of China's government, many unwittingly. Several politicians have denied Hamilton's claims. Hamilton says China's Communist Party has infiltrated Chinese-Australian associations devoted to students and scholars, writers and religious activities. "From taking over Chinese associations, buying political influence, promoting Beijing-loyal people into elected political positions, buying influence in universities by sponsoring think tanks, cyber-intrusion operations, you name it, they're doing it," he says. But Australia is beginning to fight back. Last December, former Prime Minister Malcolm Turnbull announced Australia's biggest overhaul in espionage and intelligence laws in decades, after a senator accepted illegal donations from a Chinese businessman with close ties to China's Communist Party. 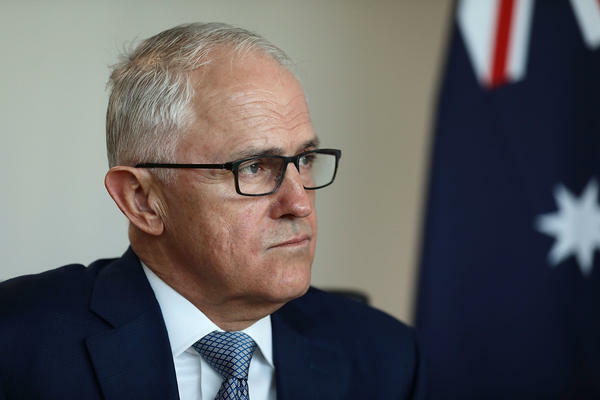 "Foreign powers are making unprecedented and increasingly sophisticated attempts to influence the political process both here and abroad," said Turnbull, announcing the bill. New laws, he said, "will protect our way of life, they will protect and strengthen our democracy and they will ensure that Australians make decisions based on the wishes of Australians." The new package of laws, which Australia's Parliament passed in June, will require anyone in Australia working on behalf of a foreign power to declare that connection to the government. But in the case of Chinese citizens, state connections can be tricky to gauge. "China's different in scale and it's different also in that it can integrate the private sector, education, civil society — all arms, if you like — of the state and the community with the objectives of the Chinese Communist Party," says Rory Medcalf, head of the National Security College at Australian National University. "We're not really dealing with a normal country here. We're dealing with an authoritarian party state, where in fact Chinese citizens owe a higher loyalty to the party than to the state itself. So what we're dealing with here is the largest secret organization in human history." China's embassy in Canberra has responded to allegations in Australian media of improper influence over Australia as racist attacks on Chinese people. "The relevant reports not only made unjustifiable accusations against the Chinese government," a public statement read, "but also unscrupulously vilified the Chinese students as well as the Chinese community in Australia with racial prejudice, which in turn has tarnished Australia's reputation as a multicultural society." Medcalf says the problem is not China's people, but its Communist Party. Some of the most vulnerable victims of the party, he says, are Chinese people who left their country to live in democracies like Australia and New Zealand. More than 1,000 miles across the Tasman Sea, Chen Weijian rests on his balcony, listening to the cicadas in a leafy suburb of Auckland, New Zealand. He moved from China in 1991, escaping imprisonment for working on a pro-democracy newspaper. He restarted the newspaper in New Zealand, but even there, Beijing caught up with him, he says: A pro-Chinese Communist Party newspaper in Auckland sued him for defamation after he criticized it for being too pro-Beijing. Ongoing legal fees forced his paper into bankruptcy in 2012. "Their paper was funded by businesses supported by China's government," Chen says. "So an overseas Communist Party's propaganda wing crushed our democratic newspaper here in New Zealand." 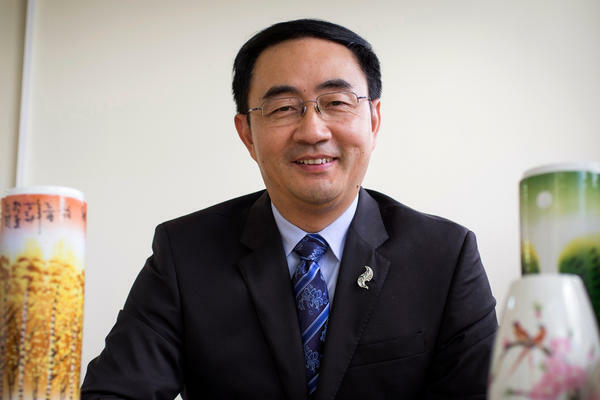 Ever since, Chen says, he has watched as China's Communist Party makes deeper inroads into New Zealand's society and government, becoming a major trade partner and expanding beyond trade to finance, telecommunications, military cooperation and cooperation on the Antarctic. Last year, local media reported that a prominent, Chinese-born member of New Zealand's Parliament, Jian Yang, had lied to authorities about his education background on his citizenship application for New Zealand. Yang, a member of the National Party, which led the government from 2008 to 2017, had worked for 15 years in China's military intelligence sector. He studied English at the People's Liberation Army Air Force Engineering University, taught at the college for five years after graduating and then obtained a master's degree at the People's Liberation Army University of Foreign Languages in Luoyang, one of China's best-known military intelligence schools. Later, at the same institute, Yang taught English to students who were studying to intercept and decipher English-language communications on behalf of Chinese military intelligence. Yang declined an interview request from NPR. He admitted to journalists last year that he was a member of China's Communist Party, though he insisted he has not been an active member since he left China in 1994. He has steered clear of the media spotlight since the scandal hit. "Jian Yang is not just connected to China's Communist Party," says Chen Weijian. "He was sent here by them to spy on New Zealand. But people in Yang's party — the National Party — all think he's good for New Zealand-China relations. A lot of his party's donations come through him, and he often leads government trips to China to make lucrative deals there." Yang, who has served in Parliament since 2011 and remains in office, played a prominent role during official visits to China in 2013 and 2016, sitting alongside then-Prime Minister John Key opposite Chinese leader Xi Jinping and serving at times as interpreter during bilateral meetings. As Yang's political influence grew, so did New Zealand's economic dependence on China. In 2008, New Zealand became the first developed country to sign a free trade agreement with China. As a result, trade between the two economies has tripled in the past decade, largely because of China's thirst for imported New Zealand milk: A quarter of all imported milk in China comes from the tiny island nation. 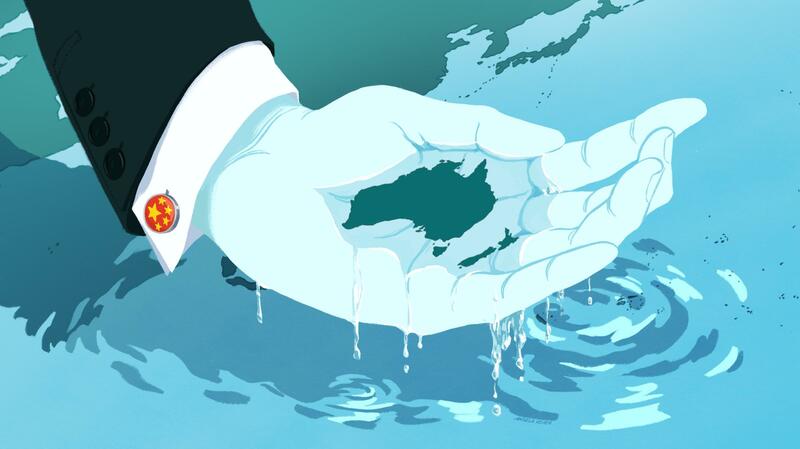 "A lot of countries ask: 'Why did China negotiate a free trade agreement with New Zealand? They're so small,' " says Charles Finny, a consultant with the Saunders Unsworth lobbying firm in Wellington who served as the lead negotiator for New Zealand in its free trade agreement with China. "The reason, I think, was that by negotiating an FTA with New Zealand, you learn how to do the negotiation. That's pretty good practice for when you actually get to negotiate with bigger players, and if you make a mistake, it's not going to be fatal for your economy." Finny believes the same to be true in politics. He says China has most likely been using New Zealand as a testing ground for diplomatic relations with other developed nations. "We're small, nonthreatening," he explains. "We're not as close to the United States. China, I think, wants to learn from us about how to deal with other, larger players. It's very common for Chinese leaders when they're just about to be appointed to a big position to come to New Zealand to learn about democracy, to learn about how to deal with the media, to learn there are going to be some protests — all these things that are going to be a much bigger factor in bigger relationships, they get to learn how to deal with it here." A weak link in the "Five Eyes"? After New Zealand's intelligence agency began looking into Yang's background in 2016, he was removed from parliamentary select committees on foreign affairs, defense and trade. But he hung on to his seat in Parliament, leaving some wondering why. "The answer to that is not something that can be given today, but it is an answer that will soon have to come from our country and our system as to what our response is," Winston Peters, New Zealand's deputy prime minister and foreign minister, tells NPR. "At that level of growing public interest — and I would think intelligence interest as well — plus the shared intelligence from our closer allies, one would be naive in thinking that our response would not be forthcoming." Analysts in the U.S. and Australia have suggested the Yang case is evidence that China is exploiting New Zealand as a weak link in what's known as the "Five Eyes," the intelligence alliance including the U.S., U.K., Canada, Australia and New Zealand. This angers Peters. He is the longest-serving parliamentarian in New Zealand's history and has long been vocal about his country's dependence on China, but he draws the line when his country is criticized for being used as a political tool for the Chinese. "This country turned up to two world wars, two years before the United States on both occasions," he points out. "So we don't like that sort of talk down here." 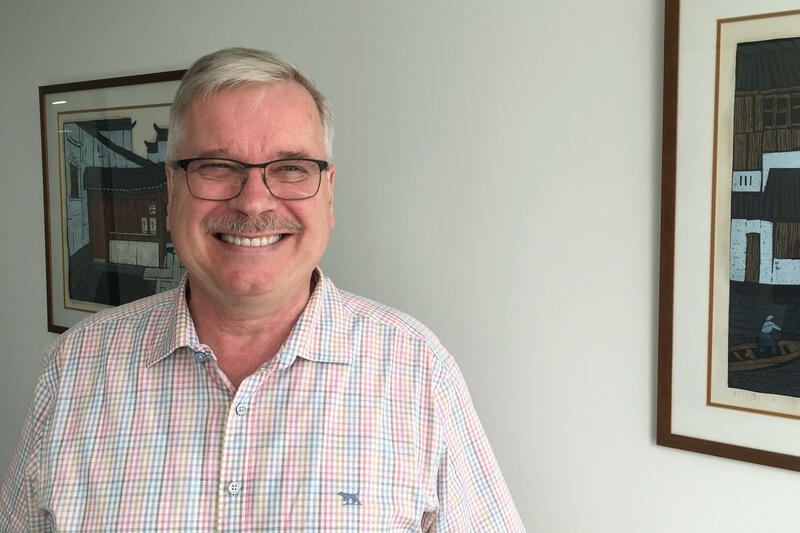 "To suggest that New Zealand may be naive, well, OK, fine," says Stephen Jacobi, executive director of the New Zealand China Council, a group in Auckland promoting business ties. "We don't have to see the world the same way Americans do, or even Australians do. We're very proud of that." Jacobi says the evidence against Yang — who serves on the board of his organization — is largely hearsay and is not enough to prove that he is working for China's government. In previous positions as private secretary to the New Zealand minister for trade negotiations and executive director of the New Zealand United States Council, Jacobi spent a decade trying, unsuccessfully, to sign a free trade agreement with the government of the United States. "It was the sort of FTA we have with China," he says. "We could not get an FTA with the United States because we're too small." Jacobi says New Zealand's business community was encouraged when the United States finally joined the Trans-Pacific Partnership, a sweeping trade agreement among economies throughout the Asia-Pacific region that excluded China — only to watch as President Trump withdrew the United States. "The Chinese have given us a free trade agreement," says Jacobi. "You won't hear me saying we shouldn't be doing more with the U.S., but New Zealand has to maintain relationships across the board with everybody." The work of a fellow New Zealander has shone the brightest spotlight on how cozier relationships with the Chinese government may be threatening New Zealand's democratic system. In a report released last year, Anne-Marie Brady, a University of Canterbury professor in Christchurch, New Zealand, takes a deep dive into the activities of the Chinese Communist Party's United Front Work Department — an agency Brady says Chinese leader Xi has revived, directing it to guide, buy and coerce political influence abroad. The report, "Magic Weapons: China's Political Influence Activities Under Xi Jinping," includes a comprehensive analysis of China's foreign influence operations under the Communist Party. "Xi is running China in crisis mode," says Brady, "and China under Xi is following a very ambitious, a very assertive foreign policy. The United Front Work, when aimed at the outside world, is meant to support that." In her report, Brady, a global fellow at the Wilson Center in Washington, D.C., examines how the United Front operates abroad, helping influence media, politicians and members of the Chinese diaspora. Her detailed investigation of China's influence operations in New Zealand includes discussion of Yang and other Chinese-born members of Parliament and the fundraising efforts they're involved in for their respective political parties. As she began researching United Front activities since Xi Jinping came to power five years ago, she says, she felt an obligation to write her report so other countries would understand the nature of the threat. Brady's report has attracted the attention of governments and policy experts throughout the developed world. Earlier this year, Australia's Parliament invited her to speak, and she gave three talks in one day during a visit to Washington, D.C. Her work may have also attracted the attention of Chinese authorities. When she spoke at Australia's Parliament, Brady announced her office and home had both been burgled and that before one of the break-ins, she received a letter warning that she would be attacked. "Items related to my work were taken, while valuables were not. It was a pretty unusual kind of burglary," Brady tells NPR. Brady's laptops, phones and flash drives were stolen — everything, she says, that was directly related to her research into Chinese Communist Party influence operations in New Zealand. But Brady is continuing to investigate China's influence operations. "If a country like New Zealand — a fiercely independent, democratic country like New Zealand — if we can't protect sovereignty and uphold the integrity of our political system at the same time as maintaining a positive relationship with China, then we've entered a very dangerous era in global politics," she says. "It should be possible for a small state or a medium-sized state or a large state to say to another state: 'It's not OK for you interfere in my politics' and continue to maintain a positive relationship with that nation." In the summary of her report, Brady writes that democracies have magic weapons, too: the right to choose governments; checks on power; freedom of speech and association and a free press. Now, she writes, is the time to use them. As China's economy grows, so does its influence over the rest of the world, and that has some countries feeling uneasy. This summer, Australia's parliament passed a foreign interference law because of China's meddling in its political system. And next door in New Zealand, there's been a scandal involving a Chinese-born member of parliament suspected of spying for Beijing. In the first of our series on China's growing global influence, NPR's Rob Schmitz reports from down under. ROB SCHMITZ, BYLINE: It's late summer in Canberra, Australia's landlocked capital city. The National Carillon, a bell tower, strikes noon as Charles Sturt University professor Clive Hamilton points out other landmarks. CLIVE HAMILTON: Just through the trees on the other side of the lake is a massive glass and concrete monolith. That's where ASIO lives. SCHMITZ: He points out ASIO, Australia's intelligence agency. Then there's the Federal Police building. And there in the middle is where China built its embassy. HAMILTON: They picked a spot, and they had a lot of clout. And they've now got a vast compound there. So, you know, they kind of get what they want around here. SCHMITZ: That is the topic of Hamilton's new book, "Silent Invasion: China's Influence In Australia." But when Hamilton first tried to release the book, his publisher wrote to him that it wouldn't print it because it feared legal action from what it called Beijing's agents of influence. HAMILTON: I was very shocked. I felt betrayed. SCHMITZ: The episode vindicated the central thesis of his book that hit a little too close to home. HAMILTON: It's a massive red flag. And if Australia capitulates on this question - in other words, no book seriously critical of the Chinese Communist Party will be published in Australia - I mean, this is - essentially means we have sacrificed our democratic freedoms. SCHMITZ: At the cost of a booming economy. Chinese demand has fueled a mining boom creating jobs, pushing up wages. And Chinese investment in real estate has meant rising home values. But many wonder if the price is too high. Another publisher eventually released Hamilton's book, but he says the whole episode has reminded him of how deeply China's Communist Party has infiltrated Australian society. HAMILTON: From taking over Chinese associations. SCHMITZ: Associations, says Hamilton, devoted to students and scholars and Chinese-language churches. HAMILTON: Buying political influence, promoting Beijing-loyal people into elected political positions. SCHMITZ: Hamilton's research counts more than 40 current and former Australian politicians who he says are often unwittingly doing the bidding of China's Communist Party. HAMILTON: Buying influence in universities by sponsoring think tanks, cyber intrusion operations. So you name it. They're doing it. SCHMITZ: But Australia is beginning to fight back. MALCOLM TURNBULL: Foreign powers are making unprecedented and increasingly sophisticated attempts to influence the political process. SCHMITZ: Last December, Prime Minister Malcolm Turnbull announced a massive overhaul in Australia's espionage laws after a senator accepted illegal donations from a Chinese businessman with close ties to China's Communist Party. TURNBULL: They will protect and strengthen our democracy, and they will ensure that Australians make decisions based on the wishes of Australians. SCHMITZ: The new law will require anyone in Australia working on behalf of a foreign power to declare that connection to the government. 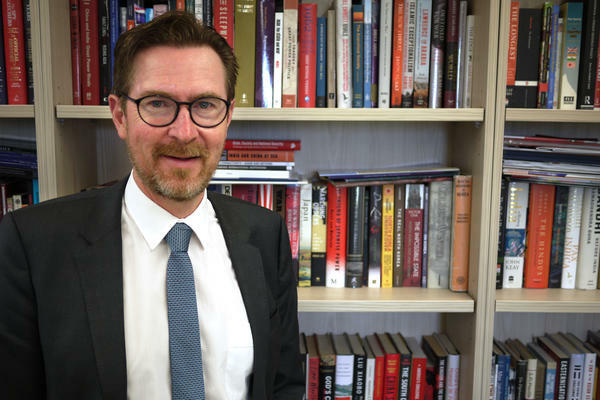 But Rory Medcalf, head of the National Security College at Australian National University, says these connections can be tough to gauge among Chinese citizens who come from a country where all parts of society are integrated with the party's objectives. RORY MEDCALF: Chinese citizens owe a higher loyalty to the party than to the state itself. So we really - what we're dealing with here is the largest secret organization in human history. SCHMITZ: China's embassy in Australia has responded to allegations of improper influence in that country as racist attacks on Chinese people. Medcalf says the problem is not the people but the Communist Party. And he says some of the most vulnerable victims of China's Communist Party are Chinese people who have left their country to live in democracies like Australia and New Zealand. More than a thousand miles across the Tasman Sea in New Zealand, Chen Weijian rests on his balcony in a leafy suburb of Auckland. He left China back in 1991, escaping arrest for working on a pro-democracy newspaper. He restarted the paper in New Zealand. But even here he says Beijing caught up with him. A pro-party newspaper in Auckland sued him for defamation after he criticized them for being too pro-Beijing. Ongoing legal fees left him bankrupt. CHEN WEIJIAN: (Through interpreter) Their paper was funded by businesses supported by China's government. So an overseas Communist Party's propaganda wing crushed our democratic newspaper. SCHMITZ: Ever since, Chen says he's watched as China's Communist Party made deeper inroads into New Zealand society and government. Last year, local media discovered that a Chinese-born member of New Zealand's parliament, Dr. Jian Yang, had lied to authorities on his citizenship application. 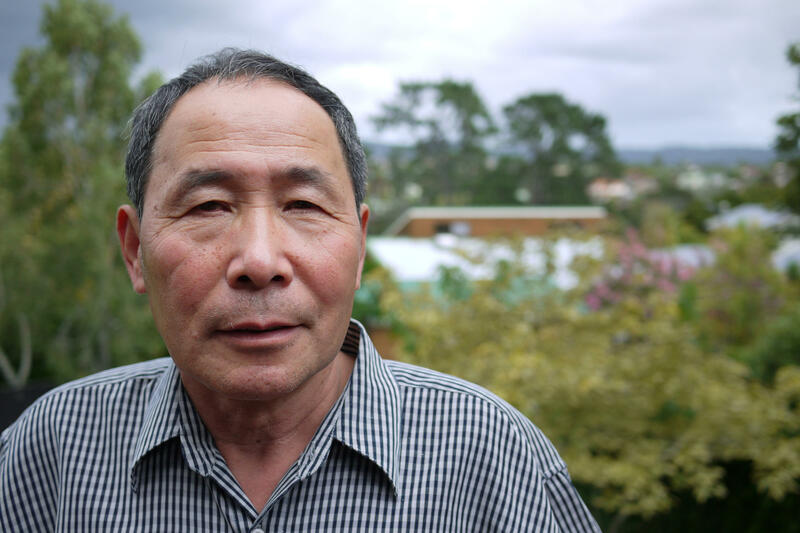 It turned out that Yang, a member of the ruling party at the time, had taught spies at one of China's best-known military intelligence schools before he moved to New Zealand. UNIDENTIFIED REPORTER: We've been trying to talk to you for three days. We need to talk to you about your links with Chinese military intelligence. JIAN YANG: Talk to my boss, OK? UNIDENTIFIED REPORTER: No, no, we will talk to you. YANG: Talk to - talk to my boss. SCHMITZ: A local reporter for New Zealand's newsroom tried to talk to Yang last year. He declined an interview request from NPR. CHEN: (Through interpreter) It's clear Jiang Yang is a Chinese spy. CHEN: (Through interpreter) But people in his party think he's good for relations with China. A lot of his party's donations come through him. And he often leads government trips to China to make lucrative deals there. SCHMITZ: Yang played a prominent role during New Zealand's official visits to China in 2013 and 2016. And as his political influence grew, so did New Zealand's dependence on China's market. China is by far the biggest investor in New Zealand's dairy industry. A quarter of all imported milk in China comes from the island nation. Yang was later removed from parliamentary select committees on foreign affairs, defense and trade yet still serves in New Zealand's parliament, leaving some wondering why. 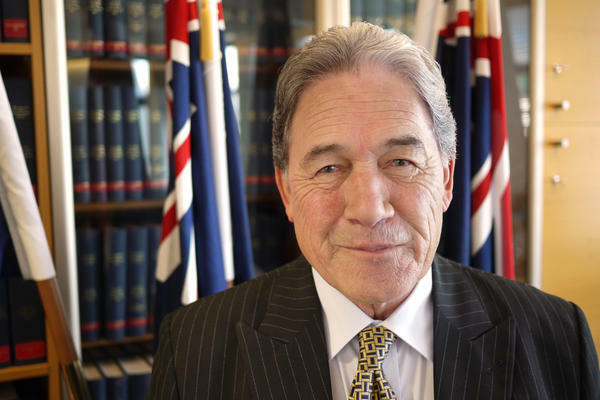 Winston Peters is New Zealand's deputy prime minister and the country's minister of foreign affairs. DEPUTY PRIME MINISTER WINSTON PETERS: Because at that level of growing public interest and, I would think, intelligence interest as well, one would be naive to think that a response would not be forthcoming. SCHMITZ: U.S. analysts consider the Jian Yang case evidence that China's exploiting New Zealand as a weak link in the so-called Five Eyes, the intelligence alliance involving the U.S., the U.K., Canada, Australia and New Zealand. This angers Peters. PETERS: This country turned up to two world wars two years before the United States on both occasions. So we don't like that sort of talk down here. SCHMITZ: But it's the work of a fellow New Zealander that has shone the brightest spotlight on Chinese influence operations inside the country. Last year, University of Canterbury professor Anne-Marie Brady made a splash with her report "Magic Weapons." It revealed the activities of the United Front Work Department, a Communist Party agency that Chinese leader Xi Jinping has revived, directing it to guide, buy and coerce political influence abroad. ANNE-MARIE BRADY: China under Xi is following a very ambitious foreign policy, and the United Front's work is meant to support that. SCHMITZ: Earlier this year, Brady announced that her office and her home were robbed. And before one of the break-ins, she received a letter threatening pushback to people like her criticizing Beijing. BRADY: Items that related to my work were taken while valuables were not. SCHMITZ: Her laptops, phones and flash drives were stolen, everything related to her research. In the summary of her "Magic Weapons" report, Brady writes that democracies have magic weapons, too - the right to choose our governments, checks on power, freedom of speech and association and a free press. Now, she writes, is the time to use them. Rob Schmitz, NPR News, Wellington, New Zealand. (SOUNDBITE OF SIMON AND GARFUNKEL'S "ANJI") Transcript provided by NPR, Copyright NPR.